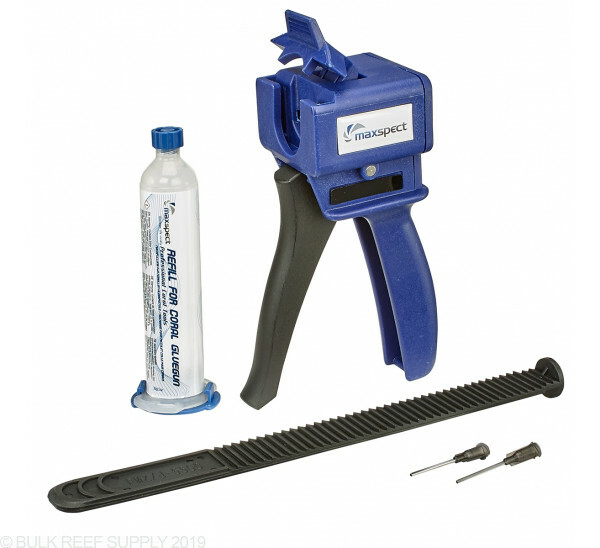 If you are serious about your fragging or have a large aquascape to construct, the Maxspect Coral Glue Gun is an awesome tool to have around. 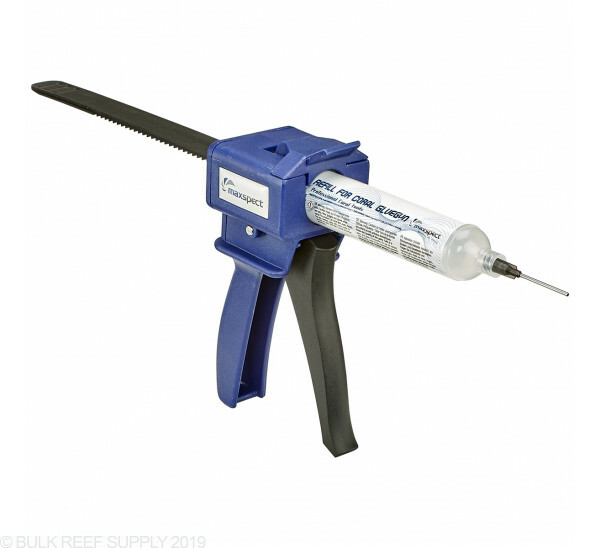 The replaceable glue cartridge holds 50 grams of extra thick super glue that can be applied to the exact spot you want it with the stainless steel applicators. 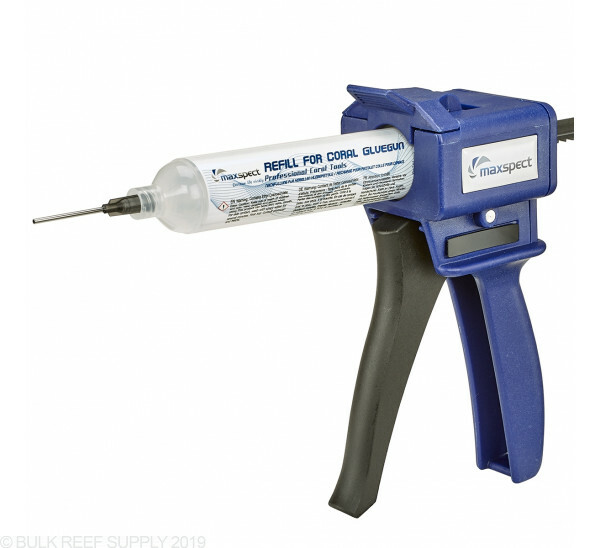 If you are just gluing a single frag out of the water a simple small tube of glue will usually work better, but if you are fragging out large colonies, aquascaping, or need to glue a frag underwater, the corrosion resistant Maxspect Coral Glue Gun is the perfect solution. 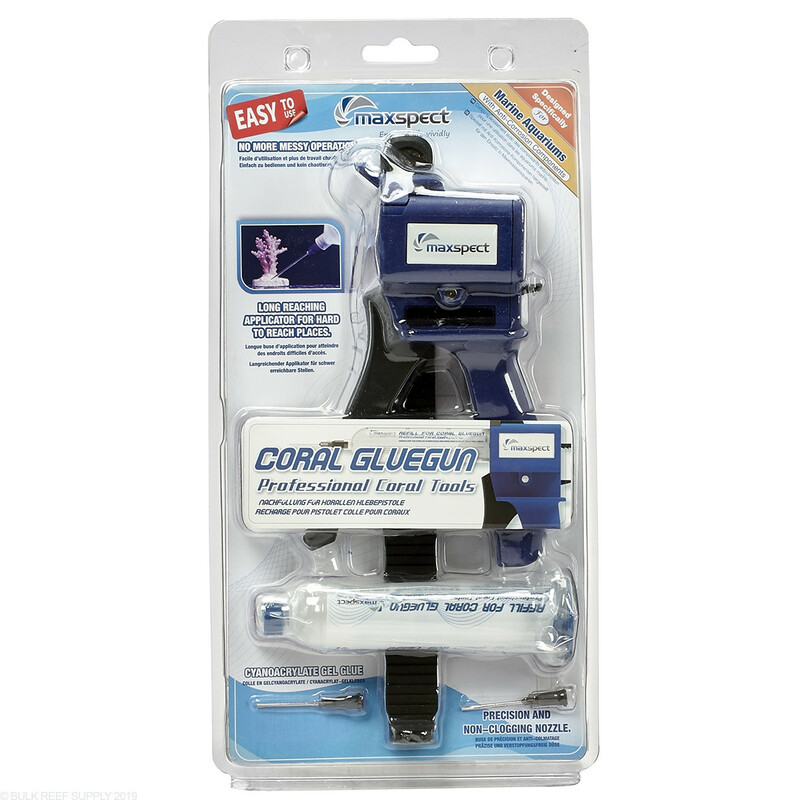 Maxspect's Coral Glue Gun can be assembled in just a minute, and when you are done, the removable applicator tips can be cleaned with a small amount of acetone for future use. 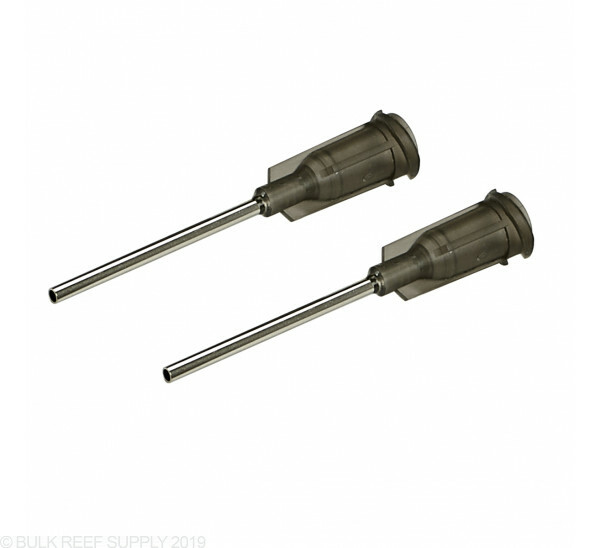 If you are going to use it underwater, we highly recommend cleaning the tips with acetone immediately after use and rinsing the glue gun with freshwater to help keep the action moving smoothly. -Applicator tip is small and works well for delicate work. -I only have 1 con but to me it is a big one. 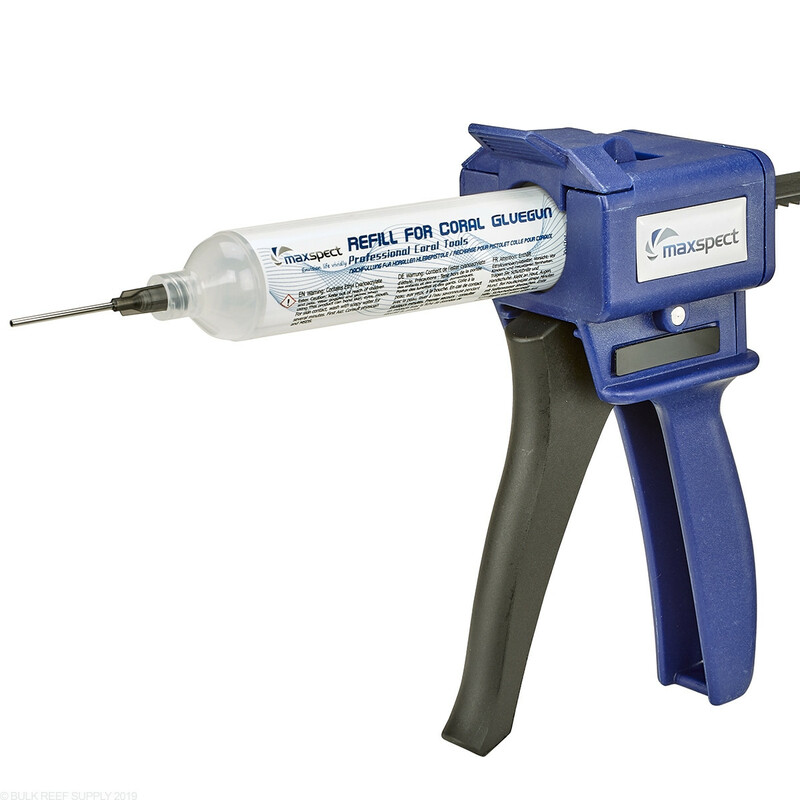 Even though you can carefully control the application amount, once you have applied the glue, glue will continue to run out of the unit for a bit. It is very similar to operating a caulk gun if you have ever done that. I wouldn’t use this gun to do a few frags, but when I am doing 30-50 frags I will likely use it. Make sure you have a paper plate or another disposable media handy so you can sit the gun down so the tip drips on it. It has its place, but isn’t a perfect solution. Even if you release pressure on it the tube won’t release the pressure.